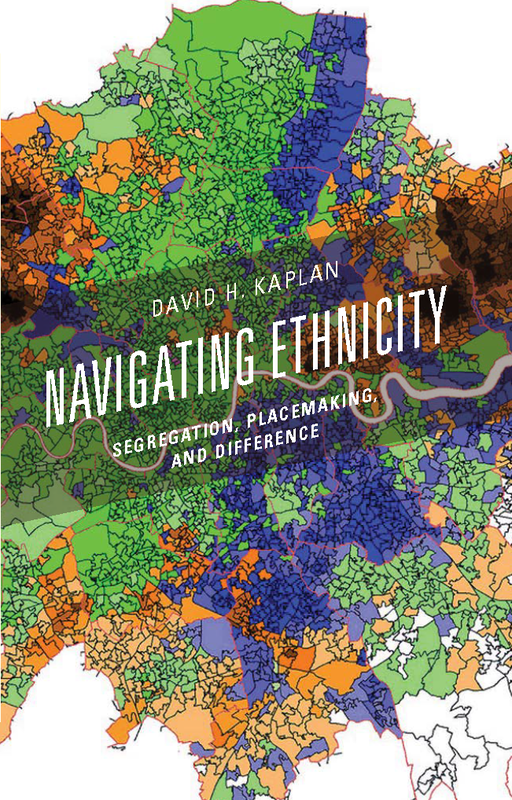 American Geographical Society (AGS) Councilor, Geographical Review Editor-in-Chief, and Professor of Geography at Kent University, Dr. David Kaplan has released a new publication, Navigating Ethnicity: Segregation, Placemaking, and Difference. In the book, Dr. Kaplan uses a consistent, authoritative voice informed by an analytical framework that clarifies both the causes and consequences of ethnic concentration throughout the world. Ethnicity and its variants are a key way in which people come together and divide themselves from one another. These produce multiple spatial arrangements, from segregation to placemaking to changes in the landscape. Navigating Ethnicity examines ethnicity, nationality, and race in a unique manner by looking at how they are arranged geographically. These arrangements carry tremendous meaning in framing the identity and structuring the opportunities of members of an ethnic group. The most important aspects of ethnicity – from what the term means, to its historical changes, to its causes, its consequences, and how it is transforming – are presented in terms of processes, with several examples from around the world. Most fundamental to the book is a perspective which considers ethnicity as a contingent phenomenon. The position, definitions, behaviors, and attitudes toward and by members of an ethnic group vary considerably, depending on the context. An ethnic group in one place may be treated much differently from that same group in another place. These important contingencies are discussed and expanded throughout. Navigating Ethnicity incorporates a number of different perspectives and begins with the idea that the experience of ethnic groups must be contextualized, depending on where they are located, the overall national ideology of incorporation and the presence of other ethnic groups. The book is available for purchase on Amazon and Rowman & Littlefield Publishers.